Free Shipping Included! 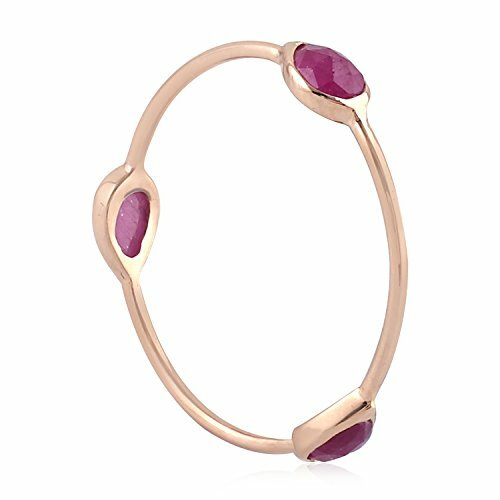 18K Solid Rose Gold Natural Ruby 3 Stone Ring, Size 7 by Mettlle at SCRHI. MPN: 43213-8416. Hurry! Limited time offer. Offer valid only while supplies last. Beutifully crafted in Pure 18K Solid Gold. This Gorgeous Three-Stone Ring promises a carefree and comfortable wear. Carefully packed in beautiful jewelry box. Pear shaped natural gemstone 3-Stone Ring. Great gift to express your love for your mother, girlfriend, fiancee, wife, valentine, family or just a friend on Mother 's Day , Wedding , Anniversary day ,Valentine's Day or Christmas Day.